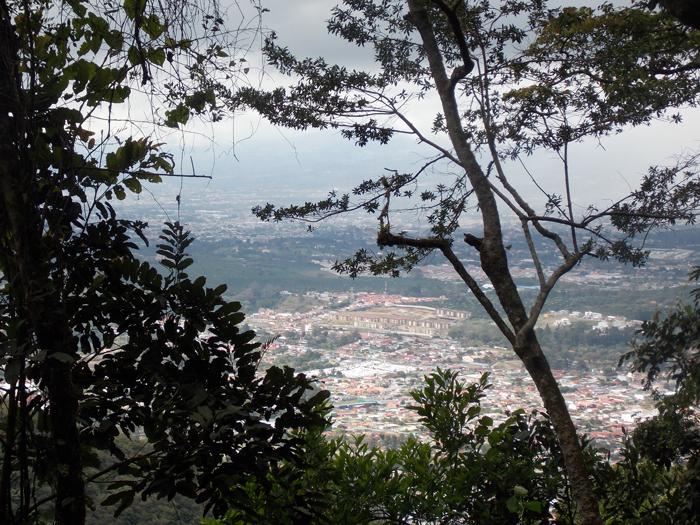 On Friday, April 25, at 4:00pm in Daniels Auditorium, a presentation will be given by a group of students who went to Costa Rica over winter break. The maximum capacity for this event is 160 so be sure to get there early. Hors d’oeuvres will be served, specifically coconut balls, a cultural dessert the students learned to prepare while in Costa Rica. 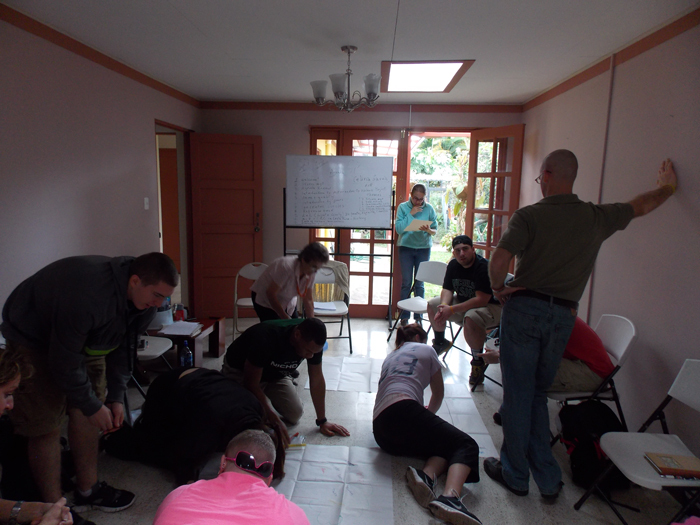 From January 5 – 12, ten students visited Costa Rica as an elective part of the course called Crime, Culture, and Consequence. This trip, led by Professors Kimberly Charbonneau and Boyd Brown, allowed students to explore not just the culture of Costa Rica but the justice system as well. The majority of students attending were juniors and seniors, but a few sophomores were allowed to go in order to have the full ten students required. Each student was a Criminal Justice major or minor. The day of travel to get to Costa Rica proved frustrating but students managed to keep in perspective that this trip was a once in a lifetime opportunity. Repeated mechanical issues kept their plane delayed for a five-hour stretch, only to be continued by a two-hour stretch. The decision was made to postpone the welcome dinner planned, and students accepted food vouchers from the airline instead. Not to worry — a welcome lunch was given the following day, and Professor Brown gave a beautiful speech. Once the group from Nichols College finally arrived, they settled in their rooms and got ready for an adventure. After a quick look around, the students realized they stuck out like sore thumbs — they were the only people in shorts! Apparently, in Costa Rica, shorts are not commonly worn. Other glaring differences between our two cultures were the use of toilet paper — which is thrown away and not flushed — and the use of broken bottles embedded in fences for added home security. Also, children stay in the home until marriage. Of course there are many differences between every culture, but these things were immediately noticed by traveler Skye Oliver, who was good enough to share not just her experience with the Bison Chronicles but her pictures as well. Even in the middle of a large city, the students were struck by how quiet everything was. There were no blaring sirens and horns. The city was completely calm — how unlike our cities here in America! A peaceful attitude was evident all through Costa Rica. The country men and women were hospitable, laid back, and very open to the tourists. While walking around one day, Skye was given the peace sign by a man riding a motorcycle. Just one human being projecting peace and kindness to another. The food was enjoyed mightily on the trip. Salsa and tomatoes were big in the culture and heavily utilized at a cooking class given by a woman named Carolina, friend of tour guide Ania. This was an event the students enjoyed. The rice was spiced unlike it is commonly done here in America and was enjoyed by all. For breakfast, toast was served with fruits, rice, and beans. The students were there to learn but they also were allowed a trip to the Arenal volcano, a tour of a coffee estate, a zip-lining excursion, and their last day was spent on the beach while Spider monkeys chattered above in the trees. Bonds were formed on this trip, a once-in-a-lifetime experience that these ten students and two professors will now share forever. A day in the court house provided the students with an inside look at how the justice system in Costa Rica works. Defendants choose which questions they do and do not answer. Yes, you read that right. Defendants are given the right to determine what they will offer for information through questioning. The judge was informal, speaking on her phone and braiding her hair through the start of the trial. A lawyer, German, invited the students back to his office and was very welcoming, preparing for the students and making them feel right at home. One interesting thing they learned is that once, 383 prisoners were released from prison on the same day. One of the prisoners committed a murder that day, and all 383 were hauled right back to the prison. Now that is a difference of culture! All in all, this was a trip where students learned non-stop. If you are a student here at Nichols, or a student considering Nichols, please be aware that the college offers amazing opportunities for student learning. 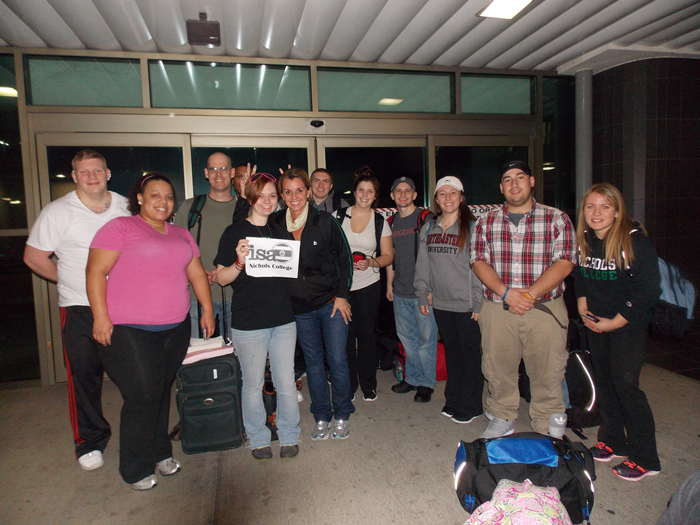 Trips sponsored by International Studies Abroad are common here at Nichols, so do not be afraid to ask.